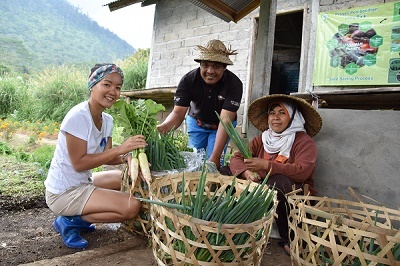 Club Med supporting local farming while influencing good ecological practices through partner Agrisud is a good and practical way of exercising their social responsibility, reports Mallika Naguran. SINGAPORE, 20 May 2018. Club Med has gone beyond creating fun holidays for its guests to boosting social and economic benefits among residential communities in places where they operate. A number of the resorts in the all-inclusive packaged French hospitality chain have seeded new income opportunities with the growth and sale of vegetal produce. This is done through a partnership with Agrisud. Club Med ties up with Agrisud to steer farmers into ecological practices while buying their produce for kitchen fare. Image: Club Med. While fulfilling their Green Globe certification criteria of having to actively support the economic and social development of the host region, the resorts are also able to supply fresh and safely produced vegetables and fruit to their guests. Club Med entered into a programme to support local communities, such as Agrisud International, to assist local farmers by boosting agro-ecological practices to reduce the carbon footprint and support the economic independence of small scale suppliers. The partnership with Agrisud first began in 2008 to improve the contribution of holiday villages to local economic developments. The first resort to embark on a local agricultural project was Club Med Cap Skirring, Senegal in 2010, followed by Club Med Asni, Morocco, and Club Med Rio, Brazil. In 2013 it was launched in Club Med Djerba, and in 2016, Club Med Bali. In Bali, Agrisud supports a group of local Balinese farmers called Bukit Mesari. This helps the people forsake harmful farming methods by adopting agro-ecological practices such as growing crops without the use of pesticides and herbicides. Another area attended to is marketing - ways to structure their organisation so as to reach new distribution and consumer channels. Since 2013, Club Med Bali, Agrisud and Bukit Mesari have expanded their partnership in several ways to build a global relationship that is aligned with Club Med's corporate and social responsibility strategy. The farmers deliver several types of fruits and vegetables to the resort, and benefit from better prices, as well as fairer and more sustainable outlets for their products. This benefits Club Med as well. By purchasing produce from these farmers directly, chefs are able to serve fresher, locally produced seasonal products (lettuce, carrots, radish, passion fruits, ruccola, oregano, fennel and more) that are not only fresh and nutritious, but are also good for the environment. With the help of Agrisud’s expertise, Club Med Bali has installed a pedagogical garden in the Mini Club of the resort to raise awareness amongst children on organic agricultural practices during gardening activities. Children have a hand in growing cherry tomatoes, mint and parsley which are then eaten and appreciated at the bar and restaurant. In 2018, to strengthen support for the Bukit Mesari farmers, the Club Med Foundation funded a water retention system in the producers’ fields. These systems are aimed at sustaining the crops during the long Balinese dry-season. 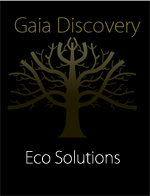 The Green Globe certification process is used as a tool to manage Club Med’s sustainability strategy on-site. Helping with social and economic development is part of a comprehensive action plan for sustainable development, covering areas such as effective management of waste, saving of energy and protection of biodiversity. Club Med has 70 resorts worldwide including 20 mountain resorts. In 2017, it reported progress in various sustainability initiatives within its resorts in the Southeast Asia and Pacific regions. The resorts that have been recognised for their sustainability commitments thus far are Club Med Cherating, Club Med Bali, Club Med Bintan and Club Med Phuket – these have attained the Gold standard in Green Globe. Resorts that are accredited as Green Globe Members are Club Med Kani, Club Med Finolhu, Club Med Yabuli and Club Med Guilin. Agrisud International is an organisation of International Solidarity, founded in 1992, that aims at supporting agriculture in countries to optimise the economic development of local producers and fight against poverty. The partnership between a hospitality chain such as Club Med and a non-governmental organisation such as Agrisud is an excellent example of how responsible tourism can be achieved - one that builds on collaboration that is contextualised to addressing socio-environmental issues while fulfilling local needs.